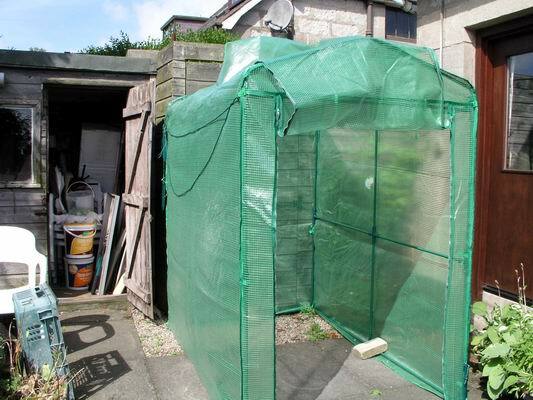 Look what I got - a new green house, it is of simple construction with a series of metal tubes that push into plastic joints and a reinforced polythene cover and it takes just 5 minutes to put up or take down. I saw them at a local garden centre and thought about all the uses I could put such a portable structure to; temporary cover for plants or me when I am repotting, protecting show plants, covering the seed frames (it spans two of our seed frames) or an annexe for the overspill when seeds are germinating, as a studio for taking pictures of plants to cut out the wind, at shows and displays, …… …so I bought it. You have to keep a very close eye on most trillium seed pods if you want to collect the seed and none more so than Trillium rivale. 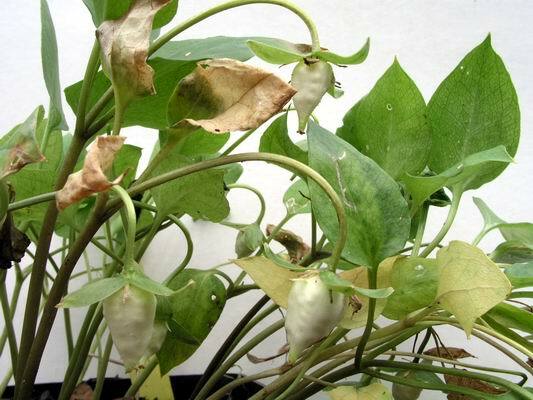 The pods look quite solid and intact one day and the next they just disintegrate, shedding the seed. 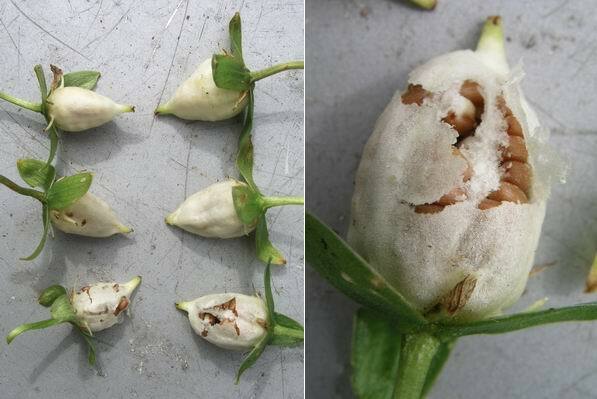 You can see the progression from intact seed pods at the top to the disintegrating capsule on the right - the ultimate biodegradable container. Seed from Trillium hibbersonii, another of the dwarf trillium which I collected over the last week. 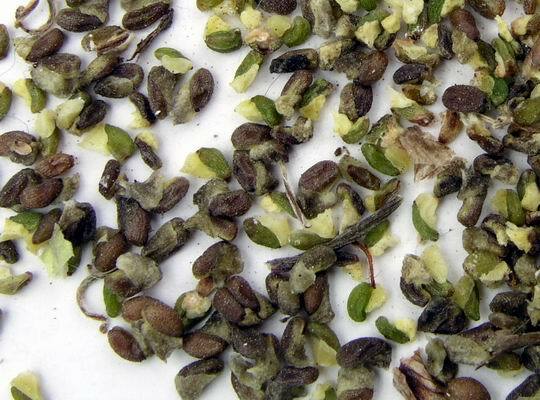 You can see some of the seed is a bit green but it is perfectly fine to collect it in that state as it will still germinate well. I normally sow trillium seed within a few days of collecting it but it can be stored and sown in the autumn / winter and, with these two species I normally get germination in the first spring. 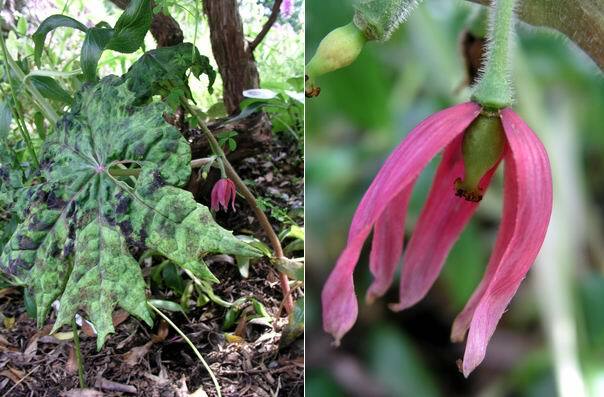 A close relative of podophylum, Dysosma forrestii hides its flowers under the leaves - but what leaves; fantastic markings make them worth growing as foliage plants alone. The flowers on this one are a lovely shade of pink and are quite attractive but despite the promise of a swelling capsule we have not had our own seed yet. 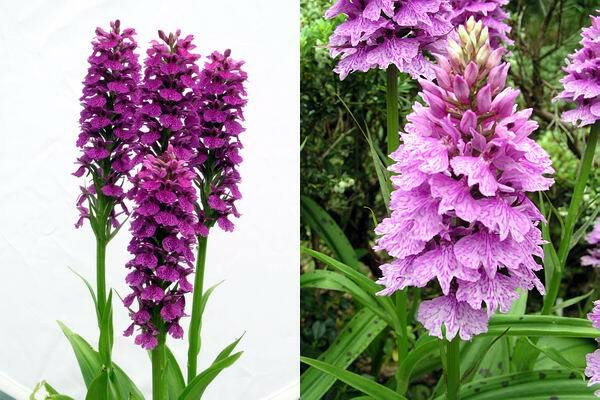 The Dactylorhiza flowers are still one of the features in the garden and will be for a few more weeks in the cool weather we are experiencing - today (Wednesday) it is pouring rain and preventing me from getting on with the repotting. I can work under cover but it I still have to move about between the green houses, the potting shed and the compost mixer and it is just too wet today. Maggi particularly likes the self seeded plant on the right because of the very wide lip on the flowers, it is a very healthy, vigorous plant and it is increasing well. 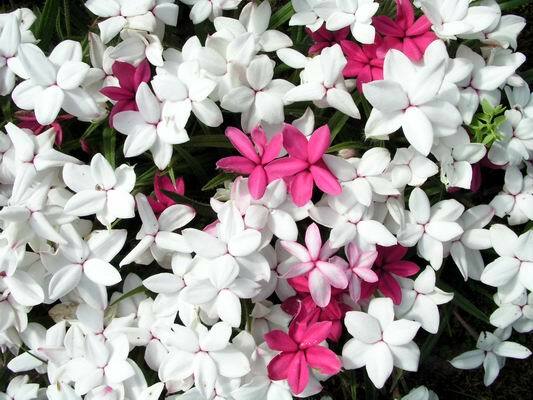 The other dwarf bulbs making a very big statement are the Rhodohypoxis who are perfectly happy with the weather as they come from an area of the Drakensberg Mountains that is summer wet. One pot I have been into is this pot of Tecophilaea and, if you have been paying attention to my previous ramblings, you will have seen immediately that they need to be planted deeper in the pot. The elongated shape and the remains of the fat contractile root are evidence that the corm is trying to take itself deeper into the compost. The Roscoeas are always very late showers in our garden, they always make me nervous as they never show much growth above ground until July. 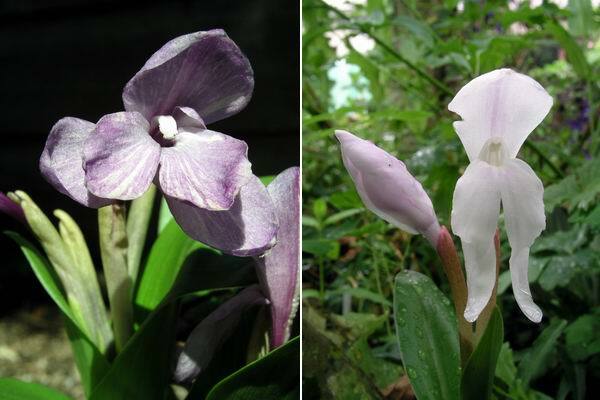 My favourite species is Roscoea humeana which can range in colour from darkest purple, through pink, yellow and white. On the left is an in between purple colour and on the right a lovely almost white form with just a light wash of a pink hue down the petals. 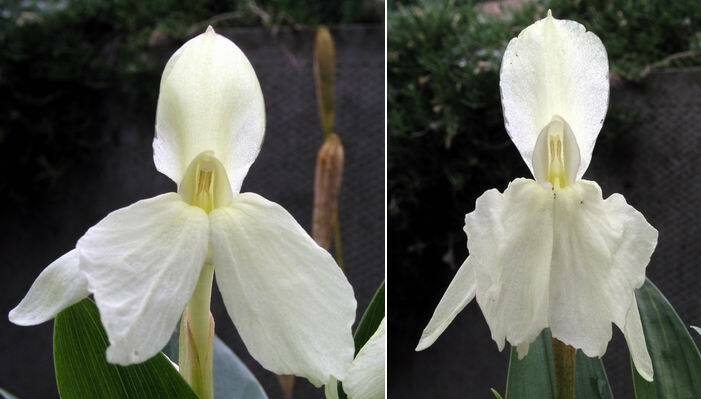 Compare this fine yellow form of Roscoea humeana on the left with a seedling raised from R.'Kew form' or 'Kew Beauty' as it is also called. 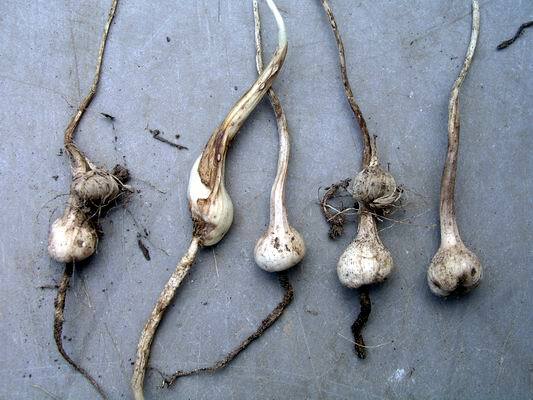 I think that the Kew form may be a fertile hybrid between R. humeana and R. cautlioides. 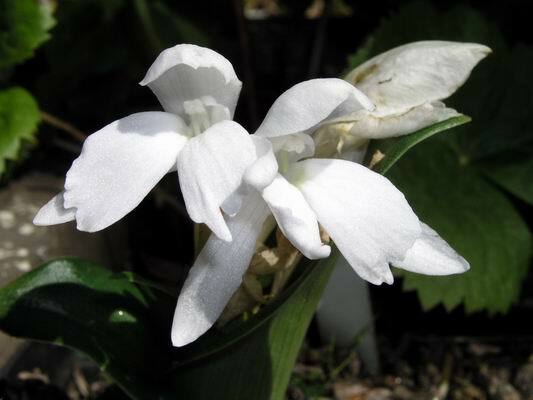 The finest form in my opinion is Roscoea humeana alba, a stunningly beautiful plant with crystalline white petals. 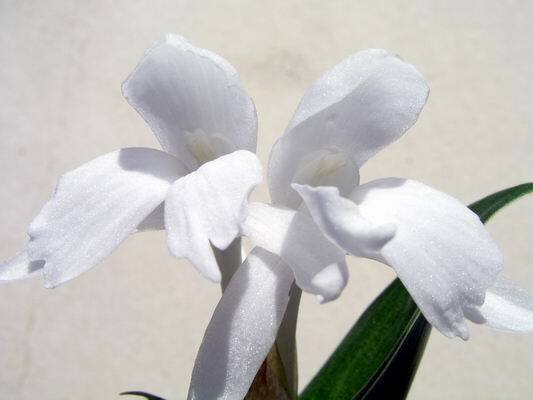 This form must be on most peoples' want list but it will only get around slowly as it does not increase at any speed and seedlings raised from it do not come white but revert to the pinky purples. Another picture of it to show the difference a background can make to a photograph. This image does not look so dramatic on the monitor but it is stunning when projected. 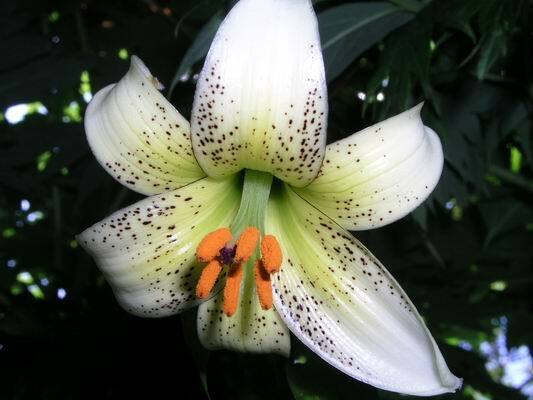 One of the summer lily species in flower is Lilium szovitsianum, one of the monodelphyum group and very beautiful indeed.